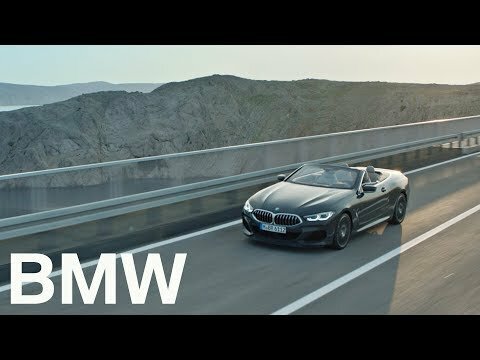 The new BMW 8 Series launched in December 2018 takes on an even more alluring style thanks to a stylish soft-top roof. The roof opens in just 18 seconds and is ready to transform any journey, whatever the weather. If a four-person luxury sports car is on the bucket list, The 8 Convertible is an obvious choice. Register your interest now via the link below or contact your nearest BMW Retailer. ​The BMW 8 Series Convertible projects confidence from every angle. It's eye-catching features include muscular rear shoulders, framing stunning 20" light alloy wheels, a stretched and contoured bonnet. Internally, the multifunction seats crafted from Extended Merino Leather and driver-orientated controls transform your experience of the new BMW 8 Series Convertible. Immerse your senses by surrounding yourself is pure luxury with elegant features like the ambient interior lighting, CraftedClarity Glass Application, and harman/kardon loudspeaker system.